Does anyone keep track of concert arrangements, themes and suites and where to get them? 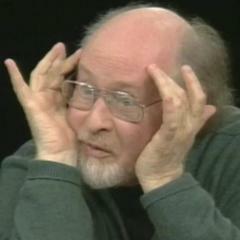 I was wondering if anyone has been keeping a list of John Williams' concert arrangements, suites and themes that have been released commercially so that one can listen to all his scores in a more structured way. He does not. He only tracks recordings, not all published music. I think concert suite recordings ARE what the OP is asking about. This is one of my "black holes" as far as John Williams is concerned. I love a good concert suite as much as the next guy, but I've never really kept up with them. I believe @Pieter_Boelen has been working on a compilation, he might know. I guess I'd just like to see them organized as published suites. Instead of "well this concert arrangement was recorded for this album and then this one for the same score was recorded for this album 15 years later." Of course complicating matters is that many published pieces have gone out of print. Too complex! What if you would just stick to OSTs and expanded albums? Or would you then not even have a fraction of the concert works? I do indeed have a compilation of my own, with no concert suites repeated. But because of computer problems and lack of time, it is about half a year out of date by now at least. I'll try to remember to post the track list here when I can. The below is an overview of all the available suites/rerecordings that I'm aware of, ordered by year. In cases where there have been multiple recordings, I listed the most recent revision that I know. 1972 - "Title Song and Love Theme" from Pete 'N' Tillie from the 45rpm "Love theme from Pete 'N' Tillie"
2012 - Lincoln V - "Suite for Solo Piano"
Indicated in BOLD are all tracks that are expanded or modified from their OST counterparts. 2009 - Concerto for Harp and Orchestra Part 1 "On Willows"
2009 - Concerto for Harp and Orchestra Part 2 "And Birches"
1984 - Los Angeles Summer Olympics I - "Prime Time Tease"
1984 - Los Angeles Summer Olympics II - "Contemporary Tease"
1984 - Los Angeles Summer Olympics III - "Dramatic Tease"
1987 - "We're Lookin' Good" for Special Summer Olympics from Excerpts from "Seven For Luck"
As I said earlier, this is somewhat out-of-date and excludes several more recent releases due to lack of time on my part. If anyone has any questions, comments or suggestions, feel free to let me know. Ooooh, very nice list Pieter! And yeah you need to add in stuff from Spielberg/Williams Collaboration Part III! For sure! And also apparently 'Lights, Camera... Music!'. Hopefully I can tackle both of those at the same time in a few months. This is fantastic! Please let us know when you update this list. EDIT: Could you tell us why you chose not to include concert arrangements present on OSTs? 1993 - The Five Sacred Trees I - "Eo Mugna" from Williams: Bassoon Concerto "5 Sacred Trees"
1993 - The Five Sacred Trees II - "Tortan" from Williams: Bassoon Concerto "5 Sacred Trees"
1993 - The Five Sacred Trees III - "Eo Rossa" from Williams: Bassoon Concerto "5 Sacred Trees"
1993 - The Five Sacred Trees IV - "Craeb Uisnig" from Williams: Bassoon Concerto "5 Sacred Trees"
1993 - The Five Sacred Trees V - "Dathi" from Williams: Bassoon Concerto "5 Sacred Trees"
Of course some of those would replace tracks that I listed earlier. I'm not sure if these are actually "better" than the ones I included before. And what is it with so many Lincoln tracks? Nice lists, Peter, but I'm curious as to why you include OST tracks that haven't been conceived as suites, even if they may be rerecorded for album purpose. With the exception of the "Main Title" from The Eiger Sanction, none of the tracks I listed are from the original OST CD. Many of the tracks have been modified from their original OST versions. I do personally treat straight re-recordings differently, but I didn't distinguish between them in the posts above. After all, modified suites are far more interesting to me than straight re-recordings. Really? The M SQUAD tracks are from the soundtrack album, for exaxmple (even if the album was rerecorded)? And the TV themes aren't really suites. But I guess it may still be within the top starter's broad categories. I was just personally hung up in the 'concert suite' aspect, which -- to me -- would be a far more 'narrow' list. Ah, I forgot about M-Squad! Indeed those are actually from the OST as well. The reason for me including it in the list, is because they are albums on my iPod. I don't have the entire OST for M-Squad on there, so kept only the Williams tracks as part of my compilation. But you're right that those should not be counted as actual "concert suites". Same applies to whatever says "Television Broadcast Rip", of course. That still leaves rather a lot of other tracks though, which are either actual suites or at the very least re-recordings. I listed the source for pretty much everything, so you guys can make your own compilation(s) whichever way you like. This is just the way I did it for myself; but I make no claims that this is some sort of "absolute truth". Reviving this topic with follow-up questions, musings, whatever you want to call it. I'm finally planning to make my own compilation. The purpose would be to represent all his scores that I know in suite form as I discover them, but I'm utterly unsure about what material to include or how to do it consistently. I like being consistent. Opinions are most welcome. For example, does The Banquet Scene qualify as a concert arrangement just because he gave it a nice ending? I personally think the second Spielberg album contains some very boring material that mostly consists of straight re-recordings that wouldn't work well in concert format. What would I do with The Flying Theme from ET, pick the album version which would flow better before Adventures on Earth with its downbeat ending, or pick the published version that would essentially give me two 'grand finales' and, in my view, would ruin the suite experience completely? (I don't want to send ET off twice). And what about Double Trouble? There is no way the City of Prague Philharmonic gets airtime in my playlist and the published version isn't great either. Or do I ignore everything except Hal Leonard's publications, no matter what that means? Should these be considered as the definitive guide to his scores in concert format? @bollemanneke, I can point you to a few sources. Emilio Audissino's monograph has a good index of the Williams concert arrangements up to the point of its publication. The edited volume he put together last year includes a nice if somewhat cursory chapter on Williams's film music for concert performance by Sebastian Stoppe. Get it if you can afford it (or, better, have your local library get a copy!). Personally, I think the minimum criterion for your own compilation should be that Williams himself arranged the piece, and did so specifically with a live concert performance in mind. So Banquet Scene, Christmas Star, Jabba the Hutt should all qualify, though maybe not his 1970s-80s style soundtracks where every album track is a rearrangement in some way. Thank you for this! I'm looking forward to investigating these links! I personally think the second Spielberg album contains some very boring material that mostly consists of straight re-recordings that wouldn't work well in concert format. Ouch. That is one of my favourite soundtracks/compilations of all time!! I might have to stop listening to it right after volume 1, but after that one, it feels like an obligatory sequel album that shouldn't really have been made, or rather, that could have been great had it been shorter. It's by far the best of the three Spielberg albums. The HOOK tracks alone are to die for. Better than their OST counterparts. The HOOK tracks alone are to die for. Better than their OST counterparts. But agree with this one. Yes. The Hooks are great but III is the best one! Not only is it the best Spielberg compilation, it is also the best John Williams compilation. Not only is it the best John Williams compilation, it is also one of the very best film music compilations of all time. Not only is it one of the best film music compilations of all time, I frequently include it in my list of alltime favourite soundtrack albums too (if I mix compilations and score albums in one list). He, he...so yeah, you could say I'm pretty crazy about Vol. II. Any criticism will most likely go in one ear and out the other. I would like it a great deal more if the second JP cue, 1941 and Jaws material was absent. The end of that Jaws cue always gives me a 'so, what, is that it now?' feeling. One does not speak ill of The Barrel Chase! The fugue was fantastic and enough. Williams on Williams is a bit of an odd duck, I'll admit. I think part of the issue is that, as a sequel album to The Spielberg/Williams Collaboration, it may have been a little too soon. There were only three new films (Hook, Jurassic Park, and Schindler's List) to provide new material, so there is a little bit too much underscore and "filler" from earlier scores. I myself could do without The Battle for Hollywood, and the Dialogue from CE3K, just to name two tracks. If the album wasn't limited to Spielberg films, they could have added suites from Far and Away, JFK, Stanley & Iris, Presumed Innocent, The Accidental Tourist (I pick those because JW never recorded material from them in Boston). That said, I still think it's a very strong album. It contains definitive recordings of the Theme from Jurassic Park, The Barrel Chase, the Hook material, even the Schindler's List tracks are on par with the originals.